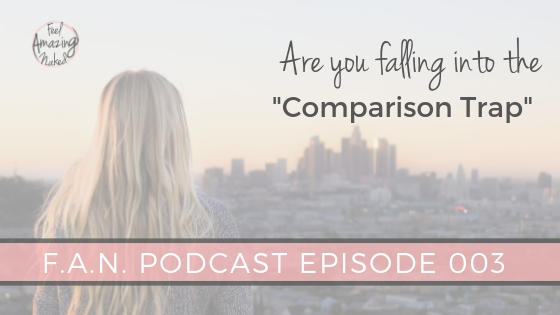 Are you stuck in the comparison trap? Are you stuck in the comparison trap? It is a vicious one to fall into. I should know. I fell into hard and fast and for far too long. I spent almost a year comparing myself to others and it wasted so much precious time. Time I will never get back. Time that took me into a dark place. Coincidentally, this was the exact place I needed to go in order to climb out of this trap with a new perspective. I was the one wasting energy that was literally sucking the life out of me. It’s painful, it isn’t who you are meant to be and it takes you far away from the woman you want to be. What led me to fall into this deep trap. What helped me begin to climb out. 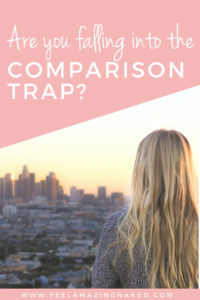 My 6 tips for escaping the comparison trap (most of the time). How I help my clients do the same. If you are ready to jump start your relationship with food and yourself, I’d love for you to join me in our FREE 7 Day Feel Amazing Naked Challenge HERE.